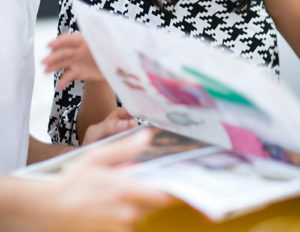 It will require that publishing and distribution players cooperate and work actively with retailers to introduce fresh, effective strategies for harnessing the unique content and audience strengths of magazines and books. By that, I mean harnessing these in all of the ways and all of the channels that both retailers and publishers now use to engage with and market to consumers. Members of Magazines & Books at Retail — active national distributor, publisher, wholesaler and retailer executives alike — have made a start. They’ve spent significant amounts of time working together to identify opportunities to test new insights, opportunities and approaches at retail. Now we need to marshal the troops and get them into the field. Jerry suggests we leverage everything. Yes, the industry has challenges, and yes, it also has opportunities. If we tap into the potential, we realize that the category can bring excitement to a retail store and the shoppers that shop them. Click here to read this engaging article.